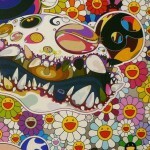 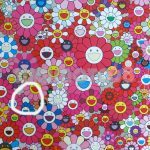 In 2005 as I happily examined my Murakami Skulls Rock print, I noticed an interesting detail. 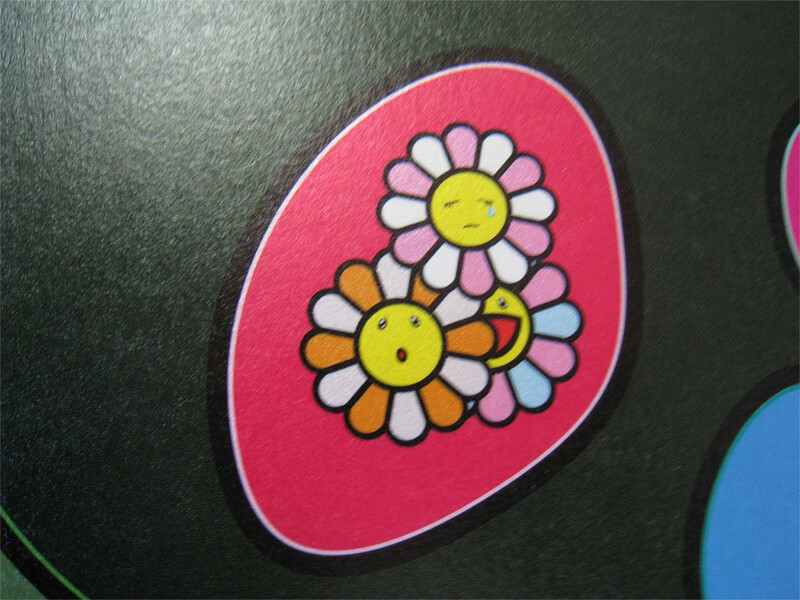 In contrast to the ubiquitous, blissfully happy Murakami flowers, there appeared a crying flower! 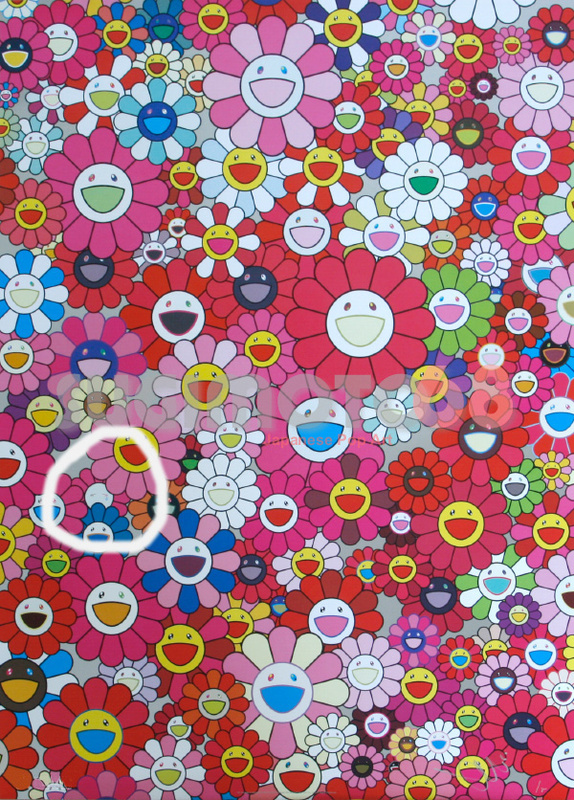 Apparently a great novelty at the time, but over the years the weeping flower has appeared again and again in the works of Murakami. 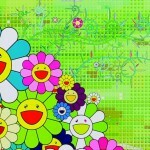 Various sites, such as the Banksy forum have given this little flower some attention and commentary. Now Sugimoto68 will pop the genie out of the bottle and provide a nigh comprehensive list of all the Murakami prints featuring non-smiling flowers. 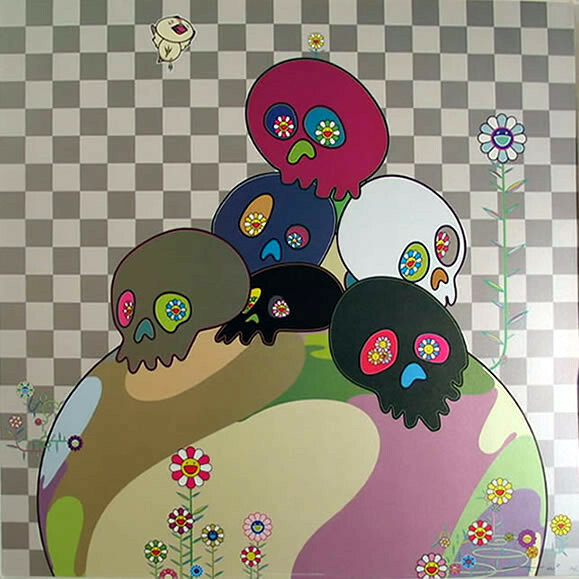 The first OFFSET print to feature the weeping flower is the aforementioned Skulls Rock print (2005). 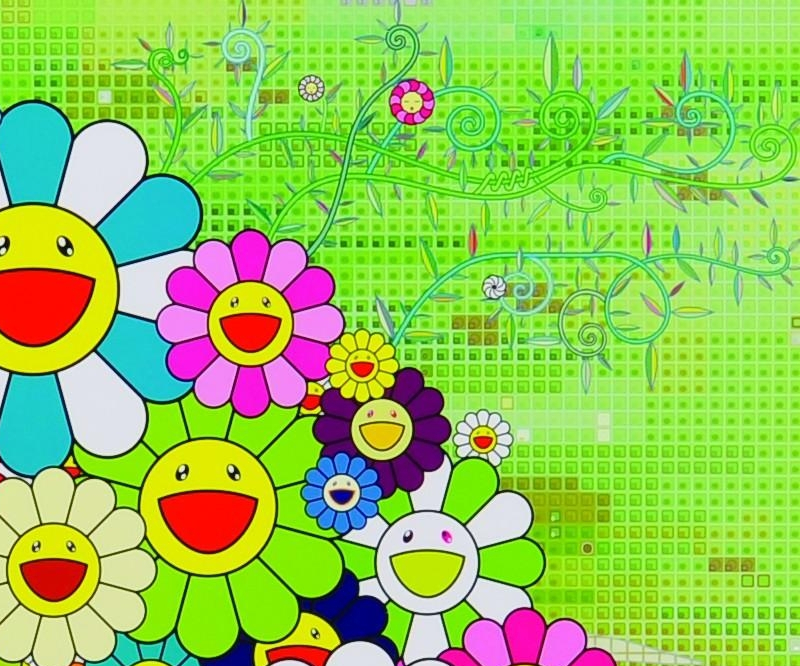 Not devoid of personality, a few of the flowers express their feelings of boredom, astonishment or sadness. Their expressions complement the juxtaposition of death suggested by the skull imagery, and life celebrated by the bird and flowers. 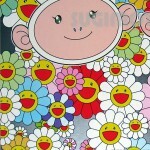 Sleeping flowers return in 2009 with Me and Double Dob, Kaikai Kiki Lots of Fun and Kaikai Kiki News 2. 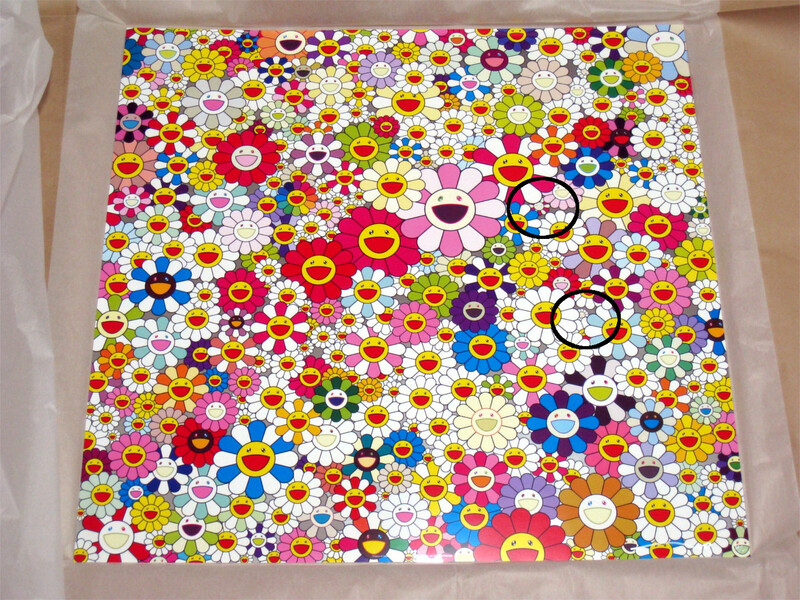 In addition, the 2010 Kansei print series flowers have distressed and astonished looks—but no more tears just yet. 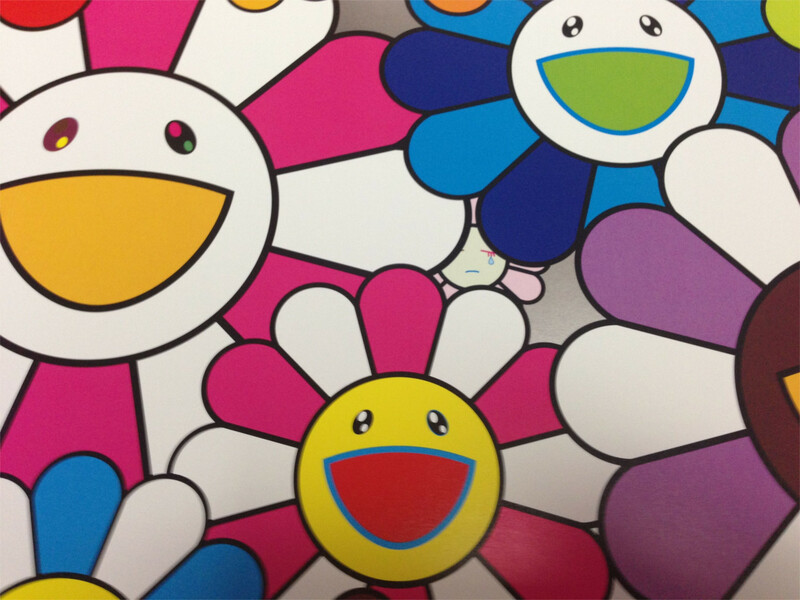 The 2010 print Maiden in the Yellow Straw Hat marks the first “pure” flower print with a sleeping flower. 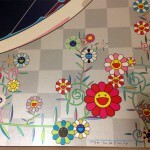 The Warhol flowers-inspired Murakami prints mark the return of the weeping flower after a five-year stint. 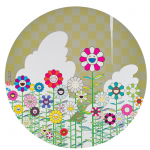 The collection consists of Warhol/Silver, Flowers for Algernon, Purple Flowers in a Bouquet and Even the Digital Realm has Flowers! 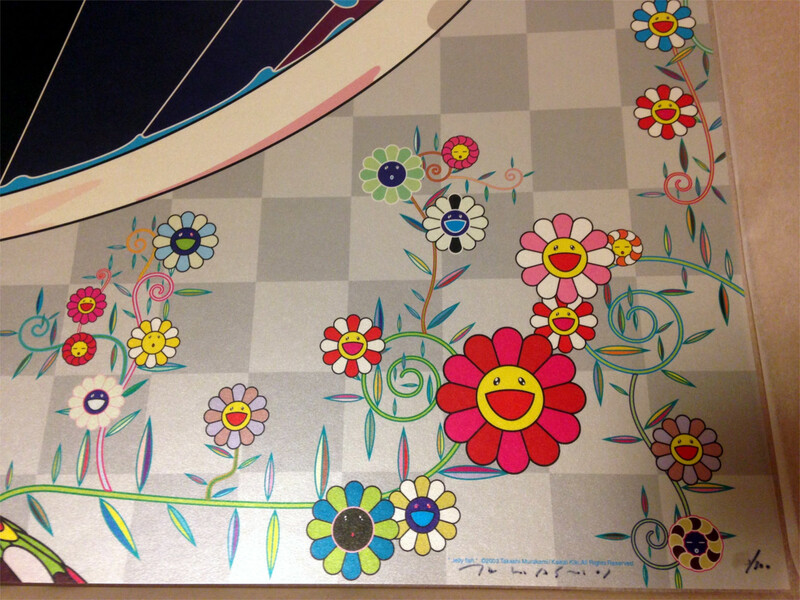 The crying flower graces all except for the purple bouquet print. 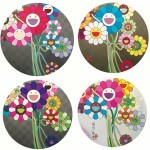 The “classic” weeping flower finally appears in the latter part of 2010 with Such Cute Flowers! 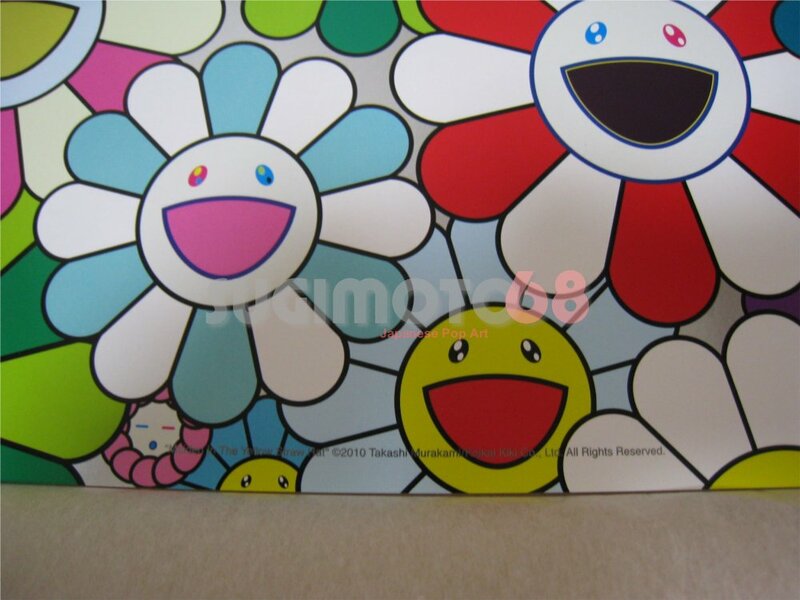 Cute Flowers is the first “pure” flower print with a weeping flower. 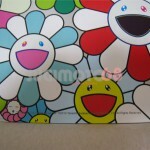 The flower’s exuberance at being so cute brings it to tears! 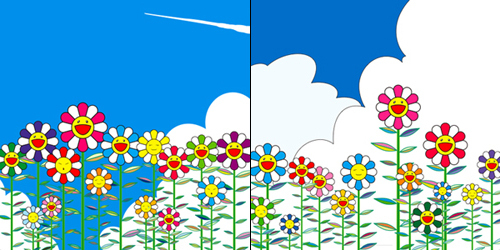 In the follow-up, Flowers Heaven, the joyfully weeping flower also joins a flower sleeping blissfully among the blossoms. 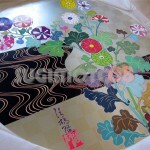 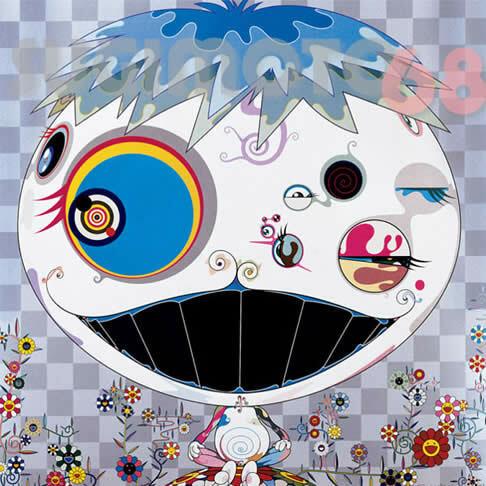 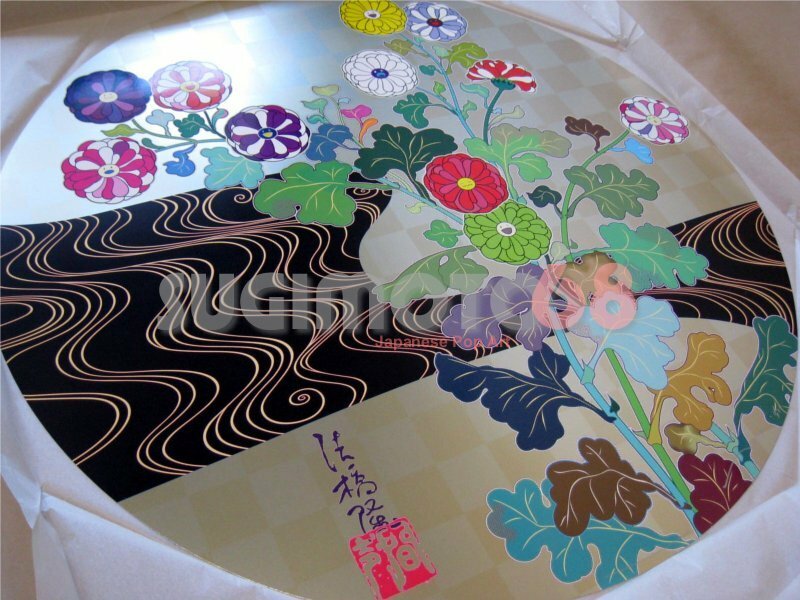 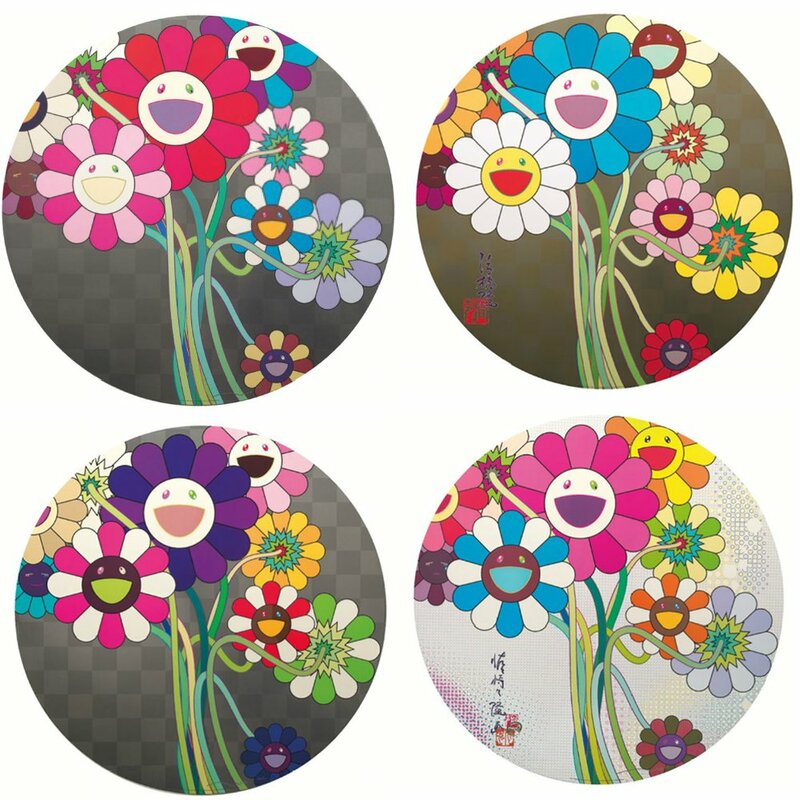 Ultimately, the Murakami flower variants do not appear to convey any type of symbolism or hidden meaning. 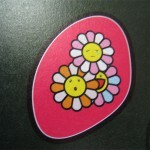 They simply add an Easter Egg element to the artwork so we may ponder them with the pleasure of little discoveries. 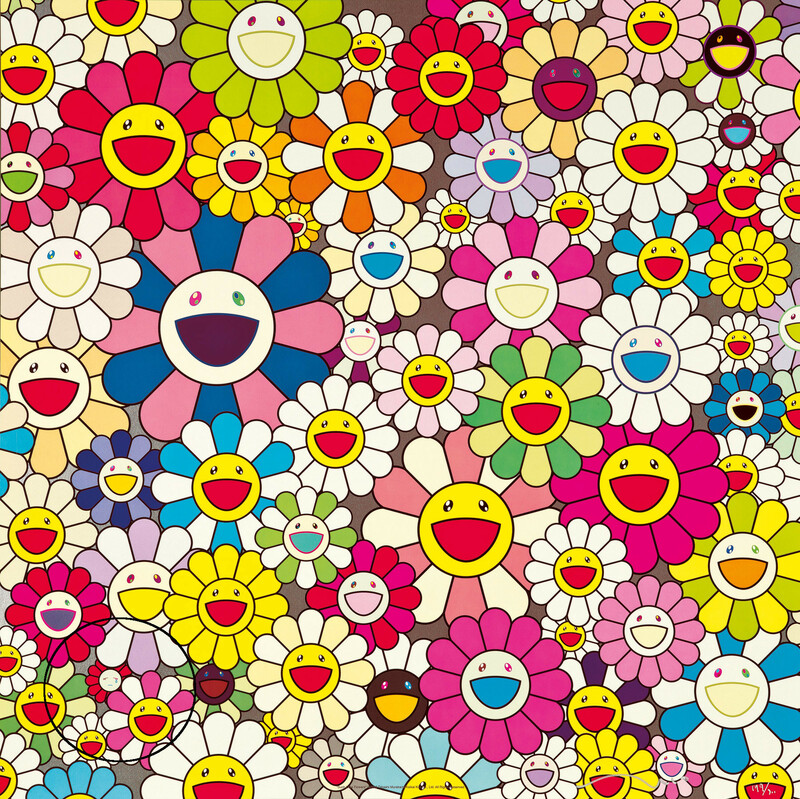 Contrary to the Bob Marley inspired Jamaican Patois title, there is no feverent wish for the flowers to stop weeping. 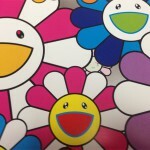 Let’s enjoy the hunt and look forward to finding out which expressive flowers we have yet to uncover. 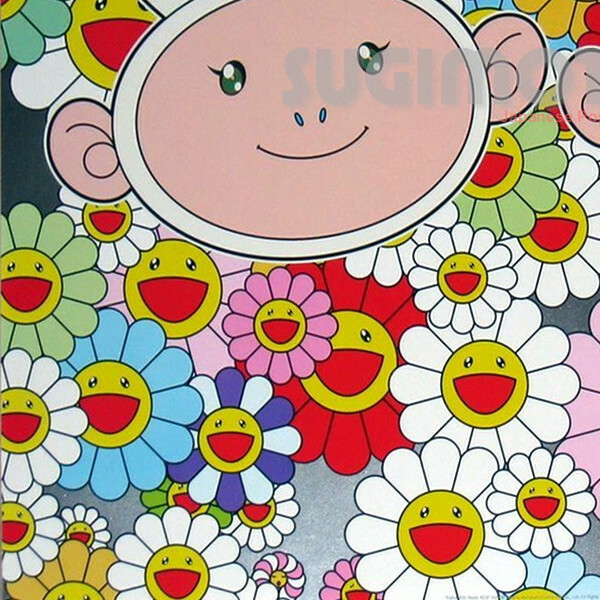 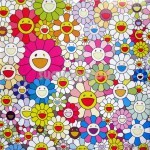 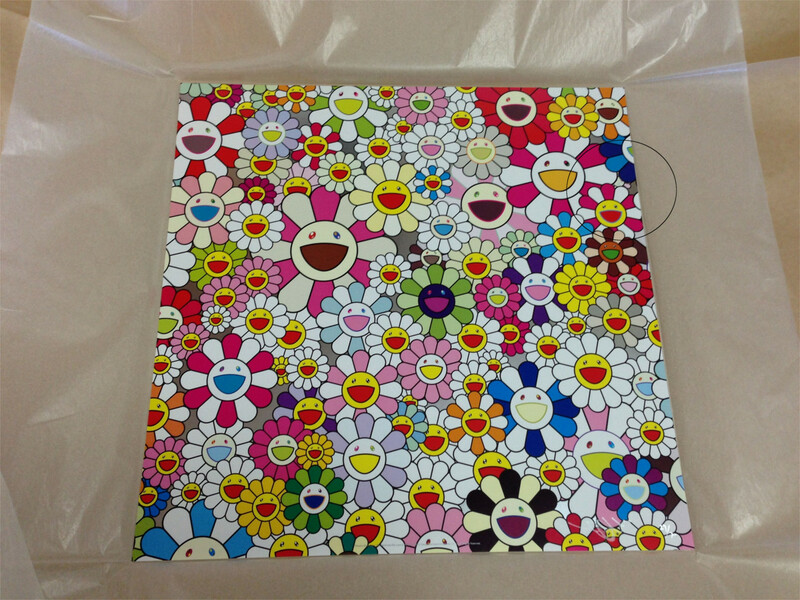 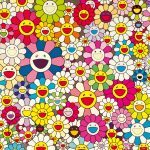 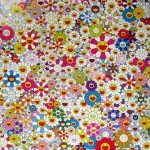 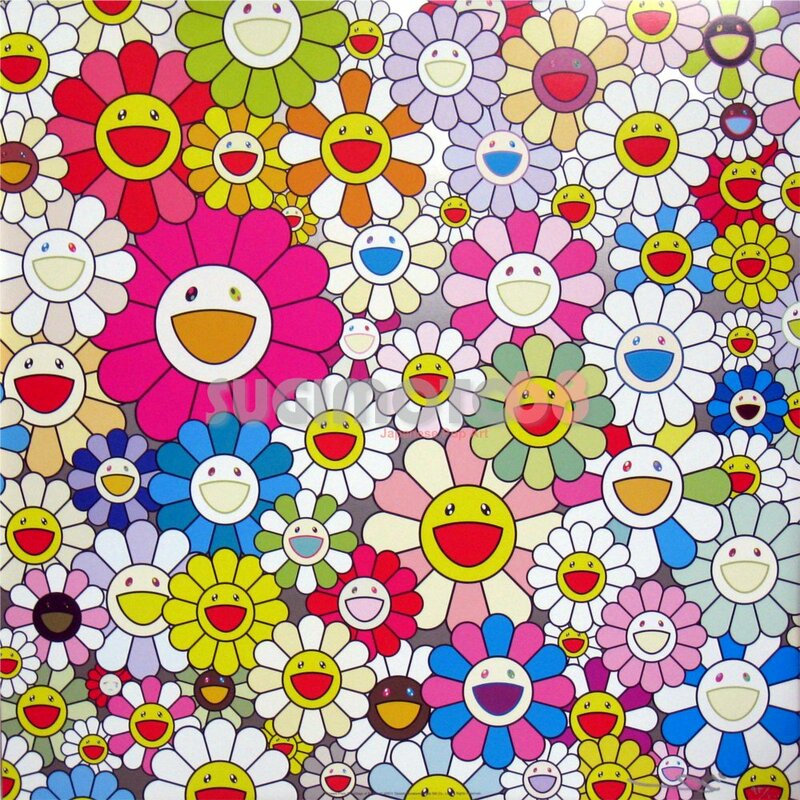 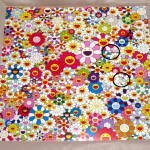 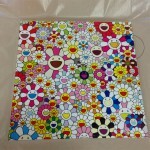 All of the Murakami print expressive flower appearances up until 2013. 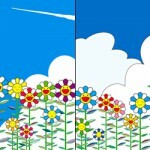 Revised 2018/3/9 to correctly identify Such Cute Flowers as the first ‘pure’ weeping flower print. 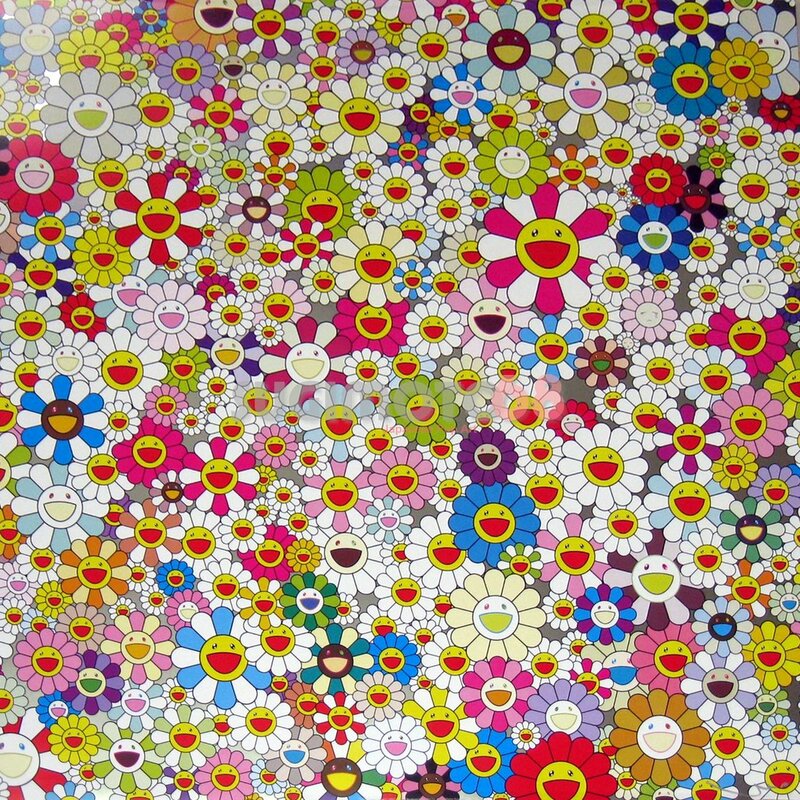 The previous version misidentified Flowers Heaven as the first ‘pure’ weeping flower print.